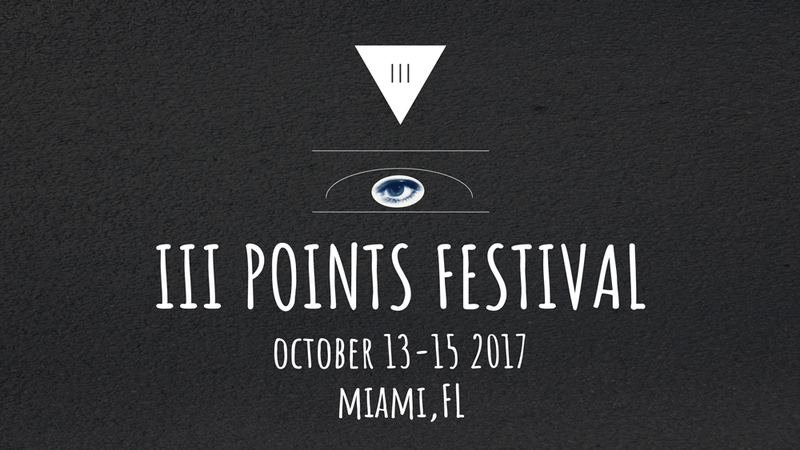 Miami’s III Points Festival releases a stellar 2017 lineup! Artists making their Magic City debut on the III Points stage include Gorillaz, RÜFÜS DU SOL, Skepta, BADBADNOTGOOD, Willow Smith, Melody’s Echo Chamber, Yves Tumor, Serpentwithfeet, SOHN, Mild High Club, Romare, Kaitlyn Aurelia Smith, Area + Jessie Kande and Kali Uchis. Sound purist Brian Eno will be making the North American debut of his extended audio installation The Ship. 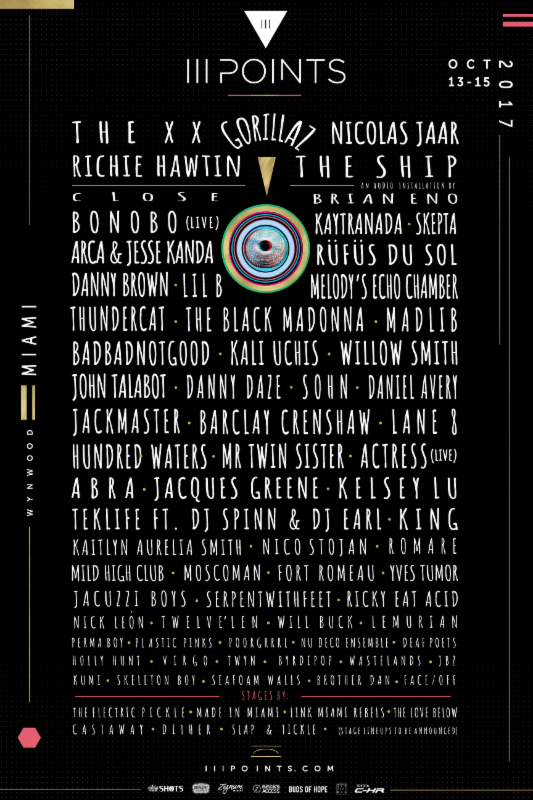 Additionally, Richie Hawtin will perform his audiovisual show Close – Spontaneity & Synchronicity.